UFCW local unions around the country offer a wide range of programs and training to enhance the professional skills of their members and help them take their careers to the next level. 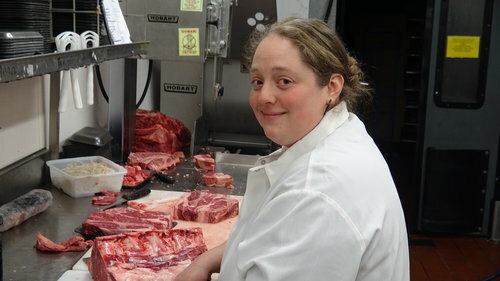 The Meat Apprenticeship Program of King County in Washington near Seattle is a nationally recognized program that teaches a diverse student population to become experts in the meat cutting trade. Students graduate from the program with an official WA certification which is honored in all 50 states. The comprehensive program focuses on teaching students to exceed levels of industry competency through a rigorous and challenging curriculum. Students learn how to work more efficiently both independently and in teams. They explore their employers’ policies, procedures and expectations while learning how to maximize productivity, profitability, craftsmanship, and customer service. Meat apprentice students learn how to be more effective employees and to exceed customer expectations. Copyright © 2016 The United Food and Commercial Workers International Union (UFCW). All rights reserved.